Watch this video to learn about what can be causing your attic mold and how Shepherd's Insulation can solve it! If you have mold in your attic, air leakage and poor ventilation are likely to blame. Moisture enters your attic from the living space below and causes all kinds of problems, including mold and wood rot. Shepherd's Insulation can prevent attic mold using proper air sealing, ventilation and insulation to limit the amount of warm air that’s escaping into your attic. These improvements can also reduce your heating and cooling costs by as much as 40 percent! If you have mold in your attic or high energy bills, call us at 1-844-619-6803 or click below to request to request an on-site inspection and free quote to upgrade your attic insulation in Pueblo, Colorado Springs, Canon City and nearby in Colorado. If you have mold in your attic, Shepherd's Insulation can inspect your attic to determine the cause and provide a free estimate to solve your problem! If you are dealing with high heating and cooling costs and aren't sure where to start, our home energy evaluation can help to determine the source of your comfort and energy problems and the best solutions. Call us or fill out our online form to schedule your free inspection and estimate today! 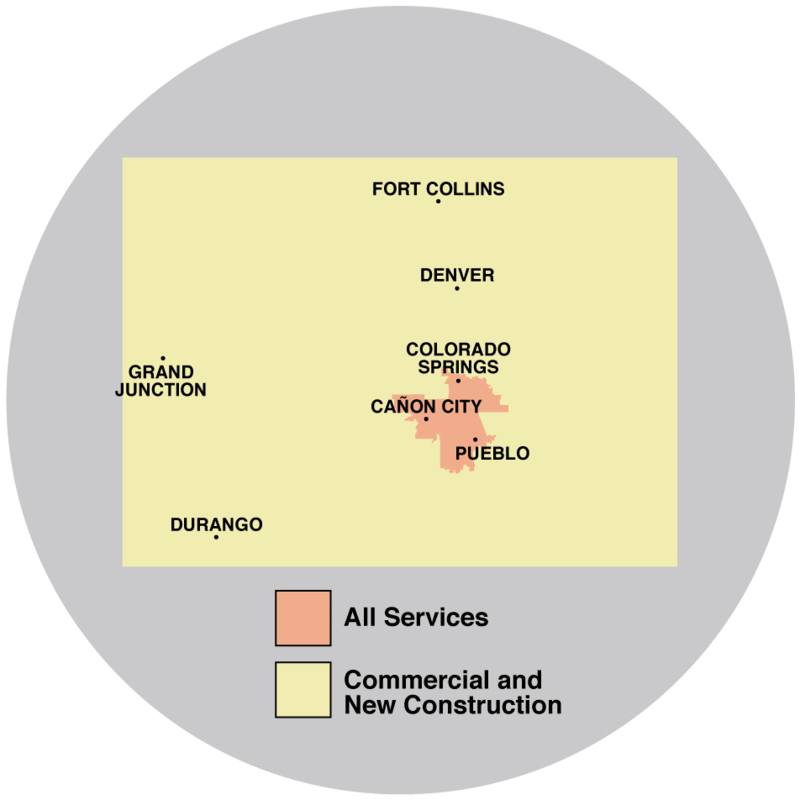 We offer all our home energy services in Canon City, Colorado Springs, Pueblo, Florence, Fountain, Cascade, Penrose, Rush, Yoder, Manitou Springs and throughout the nearby areas.